Located only a few minutes drive to Taupo Town Centre. But with a Spa, Heated Swimming Pool, Sauna and Gym - you won't ever want to leave! Fully self-contained including well-equipped kitchen, washing machine and dryer. Restaurants, Cafe's and shops all near by. 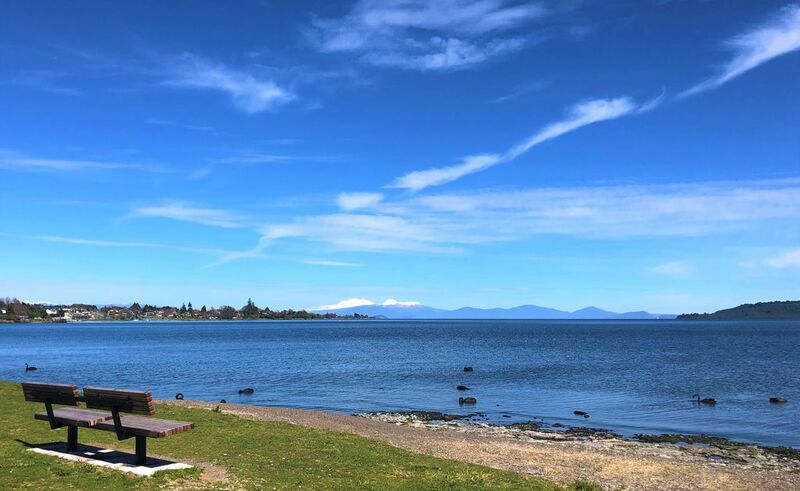 Waimahana Apartment 11 is a great base for your next Taupo getaway! This apartments can comfortably sleep up to 6 guests. These apartments are accessed by SELF ENTRY. A lockbox is attached to the rear of the letterboxes. A code and instructions are emailed to you 2 days prior to arrival. 24 hour check in but no reception. Waimahana expects the guest to take all reasonable care of the apartment and at the end of the holiday to leave the apartment clean and tidy.Smoking is not allowed inside the apartment.The maximum number of guests permitted is 6 persons. Lovely property with everything that we needed. Lovely property with everything that we needed. The house is modern and warm, laid out well, has a great outlook and is close to Kaiteri. Definitely keen to stay again. Very tidy well maintained apartment, spacious and has everything you'd need. Great views, loads of space, all day sun and a cafe across the road right in the lake. Great views, loads of space, all day sun and a cafe across the road right in the lake. Wow! Very spacious apartment with excellent modern furnishings and a great view of the lake. Walking distance to town. Right on the lake front and with excellent amenities.